Happy Friday! It's been a strange week because Benjamin's the only kid I've had home with me. Frances comes home today from her first overnight camp. Henry's return is still indefinite, depending on how long my parents decide to keep him! I hope you've had a great week! 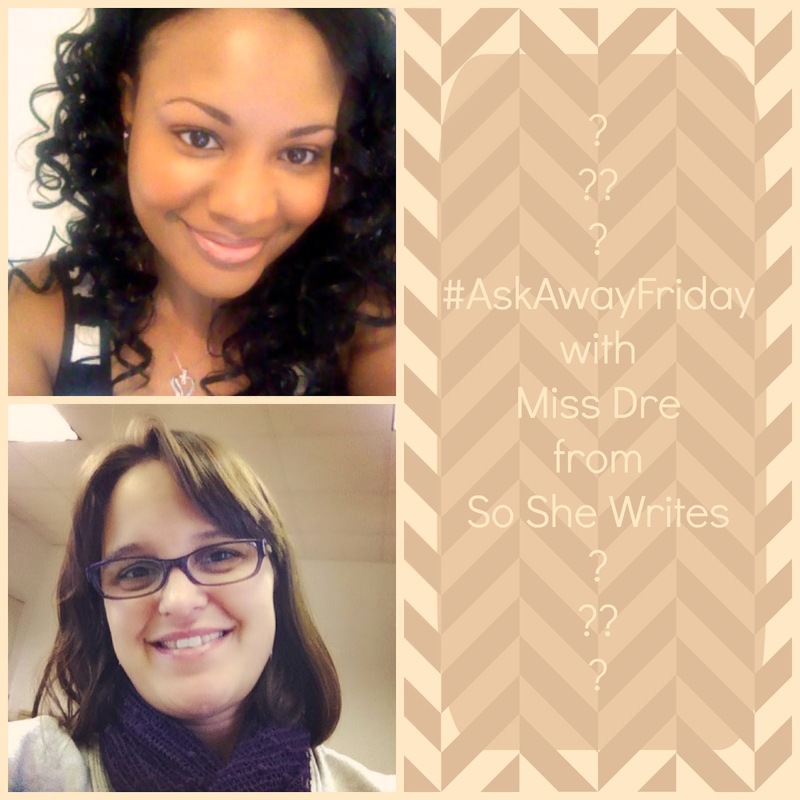 This week I'm pairing up with Miss Dre from So She Writes to swap questions for #Ask Away Friday. Miss Dress is a new-to-me blogger that I have really enjoyed getting to know through this swap. If you haven't had a good week, you should definitely check out her 10 Ways to Have a Better Day. I also really enjoyed her 7 Days of Love series around Valentine's Day. 1. I see you and Ken just celebrated an anniversary. Congratulations on going 13 years strong! Tell me about a memorable moment you guys have shared that isn't your wedding day or the birth of your children. During one of our first summers together, Ken and I went camping togethe. We took a hike one day and Ken found a piece of what looked like coal. He joked that if I squeezed it hard enough I might be able to get a diamond out of it. I told him I was just going to put it between the mattresses and sleep on it until it transformed. It's still there...and still a piece of coal as of the last time I check! 2. Who is your favorite Golden Girl and why? Great question!! I love the Golden Girls! I think my favorite is Sophia because she's just so feisty and tells it like it is. I think I'm mostly Rose, though. Kinda quirky and a lot dorky! 3. I've enjoyed reading your #TuesdayTen posts! Just reading them makes me want to go write in my book of lists (as I am a chronic list-maker also). Off the top of your head-- can you tell me 10 things that have been making you smile lately? thinking of things that make me smile! 4. If I had a magic wand and could grant you the opportunity to do one item from your bucket list this weekend, which item would it be? This weekend?! Could you send me on a weekend trip to tape a few game show episodes? I think I could get that accomplished in a weekend. And it would be a fun addition to our list of "things we did this summer!" 5. What's on your summer reading list? I've been downloading a lot of classics from Amazon for my Kindle. I am currently reading Jane Eyre. I feel like I've read it before, but it doesn't seem familiar. I also checked out a bunch of Newbery winners before we moved out of our regular location. The Moor Child is one I can see from my desk. I honestly just grabbed a bunch of random books to see what would happen! 6. I read that you work at the local college. I used to as well! What do you enjoy most about your job? What is the most challenging aspect of your job? I love the people I work with! Plus my job is very flexible. It's not like other jobs I've had before where someone was required to replace me when I was out. Here, if I need a day off for something, I just take it. I don't have to leave plans or find a sub. Things just don't get done until I get back. The most challenging thing is staying organized and dealing with things outside my education. Budgeting and bookkeeping are not my strong points and they aren't something I've gotten a lot of training on here. The good thing is that I don't have to completely understand all the reports, but the bad thing is that I was raised to be curious, so I always want to understand them. I'm learning more every day! 7. So it's "family night" at your house tonight. What's for dinner? What board games are you playing? What movies are you watching? Family night is usually pizza; homemade if we have time. We don't play a lot of board games yet, because the kids don't seem old enough yet. We like to watch Disney classics together, but the kids also like watching TopGear on BBC America with Ken. 8. I enjoyed reading your post to your 16 year old self. I feel the same way about so many of the things you mentioned. So about that 16 year old girl.... What was her favorite thing to do? Who were her best friends? What albums did she keep in constant rotation? And would she be proud of current day Rabia? That 16 year old liked reading books and watching TV. I had friends that interacted with, but I didn't really hang out or go places with other people. I had a job that I enjoyed...This is all starting to sound a lot like present-day Rabia!! In core ways I don't think I have changed a whole lot. I still feel like the same me inside my skin. I think I've been a pretty cool person all along! 9. If your life had a soundtrack, what would the top three songs be and why? I've said before that I'm not great with music. I enjoy listening to it and singing along to it, but I'm not terribly picky about what songs are playing. I think if I had to pick three songs that represent my life, though, they would be: "Manic Monday" because I like the Bangles and life is always crazy; Bobby McFerrin's "Don't Worry, Be Happy" because I believe that happiness is a choice you have to make every day; and a song from my wedding that reminds me how we are to act towards each other: "The Servant Song,"
10. You've been blogging since 2007. That's impressive! 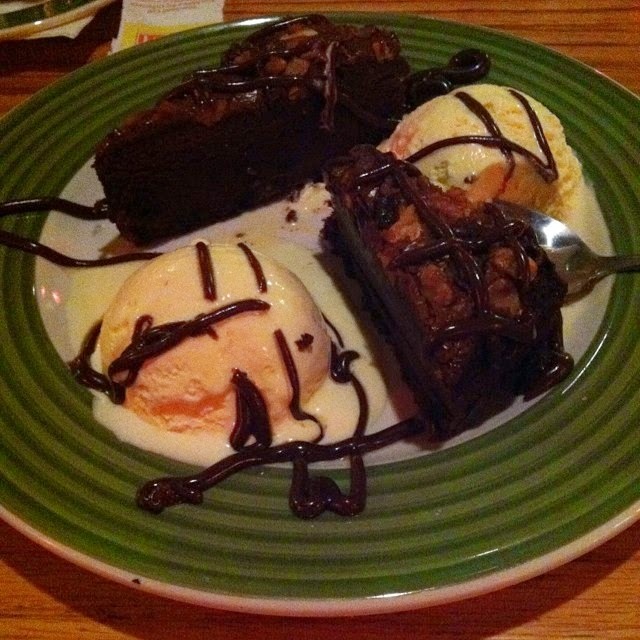 Tell me something you've never shared on your blog before. Whew! Those were fun! Pick your favorite and answer it in the comments. Then make sure to stop by Miss Dre's place and check her out as well.